I just could not do it. I know I know.. I am a sap. I am sure you are out there thinking this means I am going to keep her.. nope.. isn't going to happen.. I just couldn't let her go right now.. Nothing on R, she is an AWESOME foster home.. and it probably would have done her a world of good.. But Lady! I was already packed.. Yes sweetie, but you couldn't bring your little friend..
well no, you couldn't bring your stuffie either.. mostly because he's missing part of his face. No clue lady.. I iz innocent.. honest. So then why did you make me take a baf, and why did you clip my clawz?? Because you were a mess!! WAS NOT! So what friend did you mean?? Yup, I agree.. and it was why you were having issues. But we got you some medicine and they should be gone soon. Then will you explain why I am wearing this silly thing? OMC, you mean Odilia is COMING TO BLOGPAWS?! I hope so because it just made my human's day! Hope you get feeling better soon sweet kitty! Not happening, but a girl can scheme can't she? oh who are you kidding, she's impossible to live with now! You might not, but Jack, Muffin, Eli, Twee, Kit, Skippy and Fleurp so would..
Oooh, Sadie had coccidia and it took a while to get rid of it. Does this mean DH will be taking care of her? Nope, she's coming with. Fortunately the shelter is using Marquis paste, so it kills the coccidia pretty much instantly, unlike the old stand by which is Albon which takes forever..
Oh my gosh, what an adventure you're going to have!!! OMG. And I decided not to go to BlogPaws. Cute, funny, clever post. Odilia sure is a good writer. SERIOUSLIES?!?!? Mommy. *serious look* Repeat after us. "I will NOT BRING Odilla home wif me." SAY IT! but she is so darn small.. how much trouble could she be?? Lucky girl Odilia, she's gonna be the star of the show! Lub the bow, but if mom tries to put one on us, she's gonna be in trouble, MOL! She looks so cute with the bow on her! 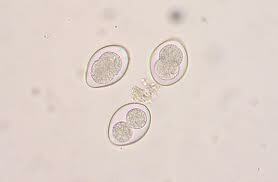 What is coccidia? Never heard of it before.